When buying a home of any age, size, or style, it is vital to be aware of its current condition. The main three components of a HomeTech Pre Purchase Home Inspection are safety, habitability, and potential high cost repairs. 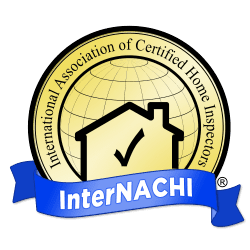 Our detailed home inspection report will cover every aspect of the home’s current condition from foundation to roof, inside and out all centered around the 3 main components. You want to move into a home that’s safe for you and your family. A home inspection will determine potential safety concerns that you might not realize upon viewing a property. Safety is important, as a faulty electrical system that is ignored could easily turn into a fire hazard. A leaking faucet could turn into hidden mold, causing health problems. Or a staircase with non-permitted work could result in serious injury to those living within the home. Getting the lowdown on your potential home is a very important part of the purchase process and understanding safety concerns, habitability, and potential high cost repairs is key. What to know more? 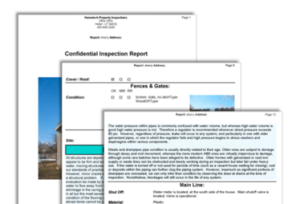 Here’s an example of a sample Home Inspection Report from HomeTech.